Though the Kwantlen Student Association wasn’t able to change their bylaws due to a lack of quorum, members voted to continue with the process of constructing a student union building on campus. “Our bylaws don’t allow us to amend our bylaws unless we have 200 people at quorum. We do not have 200 people – meaning it would be illegal for us to amend our bylaws, which is unfortunate,” said the Speaker of Council, Titus Gregory who chaired the meeting. 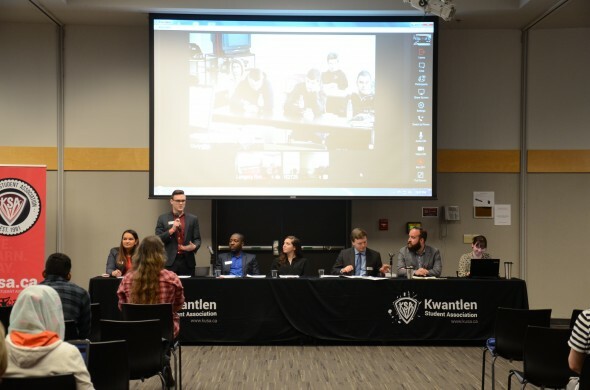 On March 30, the annual general meeting of the Kwantlen Student Association was held in the Cedar conference room 1205. The annual meeting functions as a public forum for the KSA executive to deliver summary reports of the organization’s notable accomplishments over the last year, as well as their projections and goals for the upcoming year. The main points of the meeting focused on KSA expenditures and initiatives, the continuation of the new student union building construction process, and the introduction of the 2016-17 KSA council members. The meeting’s agenda also included a motion to revise the KSA’s outdated bylaws, however the bylaws, which were last revised in 2011, will remain unchanged. 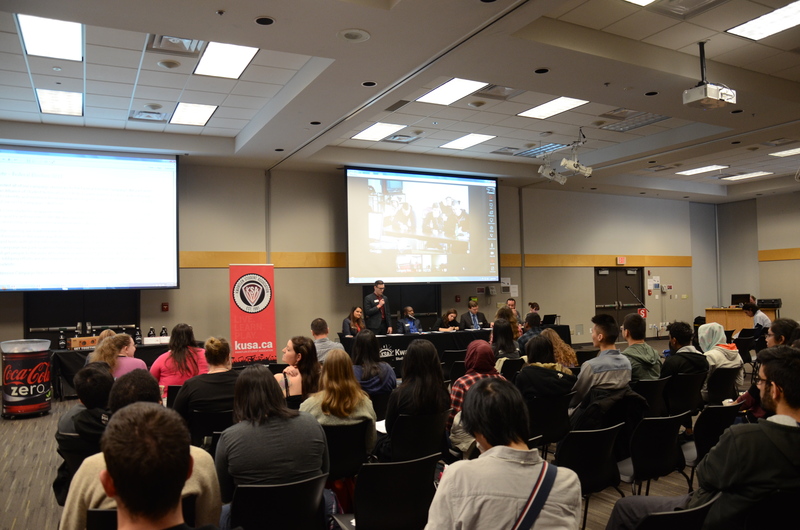 The carrying of the motion to continue the process of building a new SUB on Surrey campus was not dependent on quorum requirements, and the motion passed with at least a 75 per cent majority, with seven no-votes from students at the Cloverdale campus. “Over the last few years the KSA has been working on a plan to build a stand-alone student union building. Many other universities have them, these are fantastic places where student groups get to organize,” explained Jeremy McElroy, the general manager for the KSA. Over the past year, the KSA has reportedly been negotiating with Vancity Credit Union about borrowing money to fund the SUB project. “Buildings are not cheap. We have pegged the cost of a new student building here at about $15-million,” said McElroy. “Just so all of you are aware, this will not cost anyone here any more money. The fee has already been approved and we are going to make the loan work within the fees that are available,” McElroy explained. “We will be giving ample notice,” replied outgoing KSA president Allison Gonzalez, after which Hosein added, “And for the record, I do have our KPIRG’s annual report and financial statements for the executives of the KSA,” he said, before then walking up to the committee panel and placing the report on the table. The next KSA general meeting will be the semi-annual general meeting, which will likely be held in September.